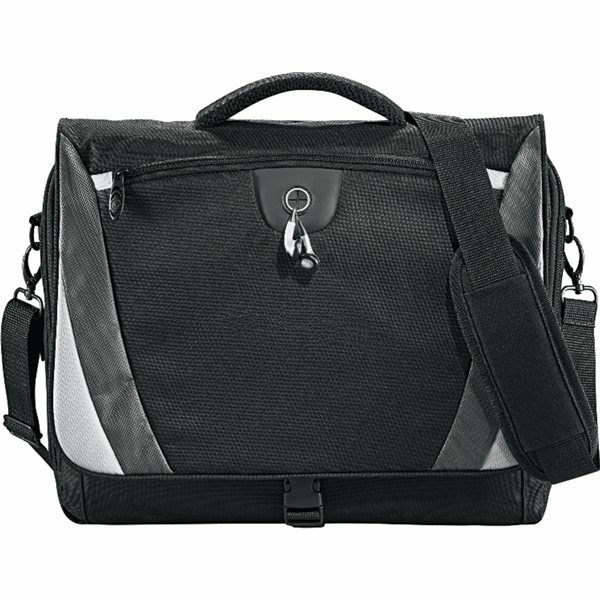 Large main zippered compartment with built in laptop sleeve (holds 15" laptop), additional rear compartment behind laptop sleeve. Features zippered front pocket with earbud port, organization panel under front flap, rear pocket with velcro closure. these product are great quality and were very popular with our group. Highly recommend!!!! this is a re-order and we are always satisfied with the products. A very refreshing change for anyone responsible for ordering and distributing promotional products. We've used this item before and it's a hit with our patients. It was very economical and excellent for our event. I recieved excellent customer service and will definitely use this company again.